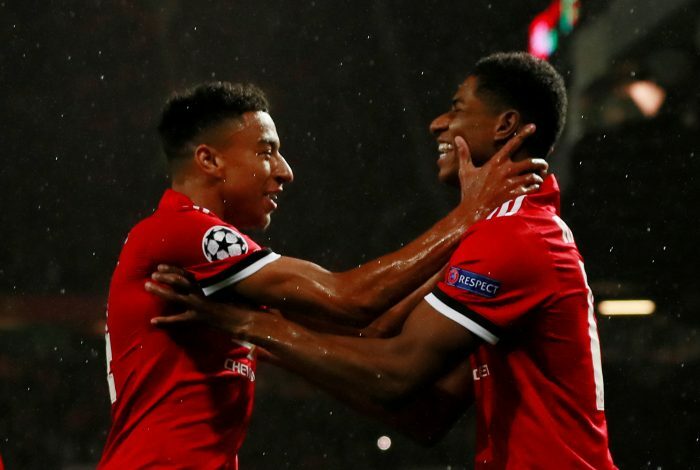 Jesse Lingard and Marcus Rashford are two prime examples of youth academy products rising through the ranks and establishing themselves as first-team stars at Manchester United. The duo is a vital part of the setup under new manager Ole Gunnar Solskjaer, who has shown a preference towards starting both the players when they are fully fit. At the age of 21, Rashford seems to have already established himself as the first-choice striker under the Norwegian gaffer, displacing Romelu Lukaku from the number 9 spot. Lingard, on the other hand, has developed a tendency of scoring important goals in big games, and his intelligent movement makes Solskjaer’s system tick more often than not. The growth shown by the two Englishmen is nothing short of inspirational as far as the young talents coming through the Manchester United academy are concerned. Both Lingard and Rashford are well aware of that fact, and they recently attended the U18s game between United and Sunderland on Saturday, to provide some extra bit of motivation for their youth side. However, judging from their antics during the match-up, the two barely looked like senior first-team players watching over the budding starlets at their club.